It's almost March 21st, which means Mother's Day is coming up. I know what I'm going to get my mom, and no it's not just a bouquet of roses (it's a new cellphone because hers is dying. My dad is pitching in too, because let's face it... my piggy bank is not so full :Panyhoo ), but do you know what to get your mom?? Uhuh, I didn't think so. 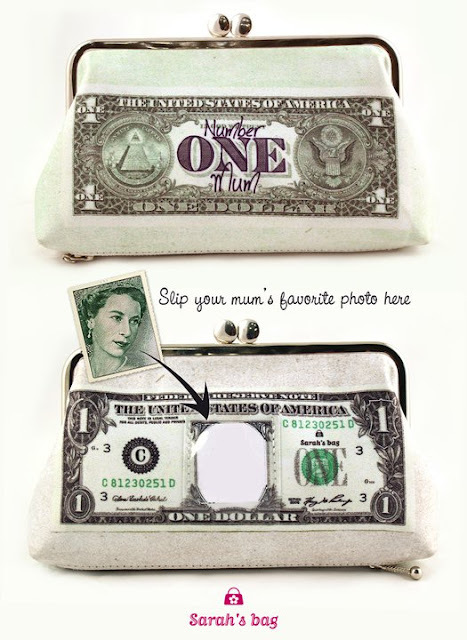 If you have a quirky and fashionable mother, or just the "Number One Mum", then I suggest this very cute purse by Sarah's bag. If you agree, check out the Facebook link for more information.